What is the Difference Between Heir Apparent and Heir Presumptive? In my latest WIP (Work in Progress), one of the important characters is the “heir presumptive” to his brother. What does that mean, and how does it differ from “heir apparent”? In my story, Horace Lovelace is the third son of the Earl of Sandahl. The oldest son has passed in a freak accident. The second brother has succeeded to the title, but he has not produced a male heir; therefore, Horace, the third son, is the second son’s heir presumptive. An heir apparent or heiress apparent is a person who is first in line of succession and cannot be displaced from inheriting, except by death or a change in the rules of succession. An heir presumptive or heiress presumptive, by contrast, is someone who is first in line to inherit a title but whose claim can be displaced at any time (in legal terms, is “subject to divestiture”) upon the occurrence of one or more events or sets of events for which the system of inheritance allows, such as the birth of a more eligible heir. Today these terms most commonly describe heirs to hereditary titles, particularly monarchies. They are also used metaphorically to indicate an “anointed” successor to any position of power, e.g., a political or corporate leader. The phrase is only occasionally found used as a title, where it usually is capitalized (“Heir Apparent”). Most monarchies give (or gave) the heir apparent the title of Crown Prince or a more specific title, such as Prince of Orange in the Netherlands, Prince of Asturias in Spain, or Prince of Wales in the United Kingdom. In a hereditary system governed by some form of primogeniture, an heir apparent is easily identifiable as the person whose position as first in the line of succession is secure, regardless of future births. An heir presumptive, by contrast, can always be “bumped down” in the succession by the birth of somebody more closely related in a legal sense (according to that form of primogeniture) to the current title-holder. Primogeniture is the right, by law or custom, of the firstborn male child to inherit the family estate, in preference to siblings (compare to ultimogeniture). In the absence of children, inheritance passed to collateral relatives, usually males, in order of seniority of their lines of descent. The eligible descendants of deceased elder siblings take precedence over living younger siblings, such that inheritance is settled in the manner of a depth-first search. Variations on primogeniture modify the right of the firstborn son to the entirety of a family’s inheritance or, in the West since World War II with the wider promotion of feminism, eliminate the preference for males over females. Most monarchies in Europe have eliminated male preference in succession: Belgium, Denmark, Luxembourg, Netherlands, Norway and Sweden. The United Kingdom passed legislation to establish gender-blind succession in 2013, but delayed implementation until the 15 other countries which share the same monarch affect similar changes in their succession laws. The clearest example occurs in the case of a title-holder with no children. If at any time he produce children, they (the offspring of the title-holder) rank ahead of whatever more “distant” relative (the title-holder’s sibling, perhaps, or a nephew or cousin) previously was heir presumptive. This provided for the possibility that William’s wife, Adelaide of Saxe-Meiningen, was pregnant at the moment of his death—since such a (so-named posthumous) child, if born and regardless of the gender of the child, would have displaced Victoria from the throne. Adelaide was 44 at the time, so pregnancy was possible even if unlikely. Daughters (and their lines) may inherit titles that descend according to male-preference primogeniture, but only in default of sons (and their heirs). That is, both female and male offspring have the right to a place somewhere in the order of succession, but when it comes to what that place is, a female will rank behind her brothers regardless of their ages or hers. Thus, normally, even an only daughter will not be her father’s (or mother’s) heiress apparent, since at any time a brother might be born who, though younger, would be heir apparent. Hence, she is an heiress presumptive. 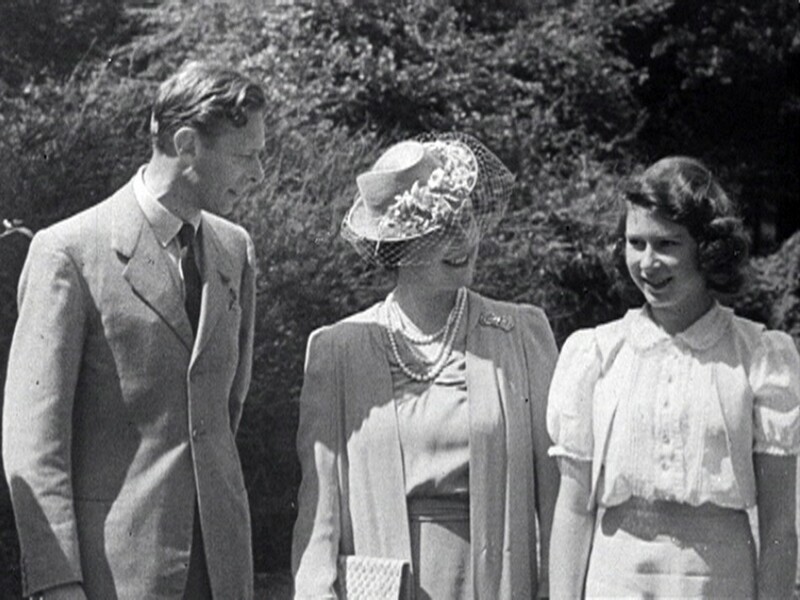 For example, Queen Elizabeth II was heiress presumptive during the reign of her father, King George VI, because at any stage up to his death, George could have fathered a legitimate son. In a system of absolute primogeniture that does not consider gender, female heirs apparent occur. Several European monarchies that have adopted such systems in the last few decades furnish practical examples. Crown Princess Victoria of Sweden, Princess Catharina-Amalia of the Netherlands, and Princess Elisabeth of Belgium are respectively the oldest children of Kings Carl XVI Gustaf, Willem-Alexander, and Philippe and are their heirs apparent. Princess Ingrid Alexandra of Norway is heir apparent to her father (who is heir apparent to the Norwegian throne). 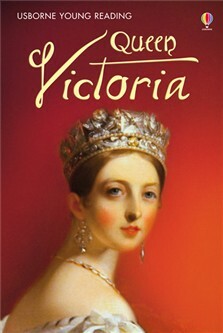 Victoria was not heiress apparent from birth (in 1977), but gained the status in 1980 following a change in the Swedish Act of Succession. Her younger brother Carl Philip (born 1979) was thus heir apparent for a few months. It was reported in October 2011 that discussions would take place between the heads of government of the Commonwealth realms aimed at changing the rules of succession to the 16 thrones of Elizabeth II to give equal rights to females. Following the CHOGM meeting, which took place in Perth, Australia, between 28–30 October 2011, it was announced that the rule change had the unanimous backing of all 16 member nations. However, the effects are not likely to be felt for many years; the first two heirs at the time of the agreement (Charles, Prince of Wales and his son Prince William, Duke of Cambridge) were already eldest born children, and in 2013, William’s first-born son Prince George of Cambridge became the next apparent successor. But even in legal systems that apply male-preference primogeniture, female heirs apparent are by no means impossible: if a male heir apparent dies leaving no sons, but at least one daughter, then the eldest daughter would replace her father as heir apparent to whatever throne or title is concerned, but only when it has become clear that the widow of the deceased is not pregnant. Then, as the representative of her father’s line she would assume a place ahead of any more distant relatives. Such a situation has not to date occurred with the English or British throne; several times an heir apparent has died, but each example has either been childless or left a son or sons. However, there have been several female heirs apparent to British peerages (e.g. Frances Ward, 6th Baroness Dudley, and Henrietta Wentworth, 6th Baroness Wentworth). In one special case, however, England and Scotland had a female heir apparent. The Revolution settlement that established William and Mary as joint monarchs in 1689 only gave the power to continue the succession through issue to Mary II, eldest daughter of the previous king, James II. William, by contrast, was to reign for life only, and his (hypothetical) children by a wife other than Mary would be placed in his original place (as Mary’s first cousin) in the line of succession – after Mary’s younger sister Anne. Thus, although after Mary’s death William continued to reign, he had no power to beget direct heirs, and Anne became the heir apparent for the remainder of William’s reign. She eventually succeeded him as Queen of England, Scotland and Ireland. Parliament deposed James Francis Edward Stuart, the infant son of King James II & VII (of England and Scotland respectively) whom James II was raising as a Catholic, as the King’s legal heir apparent—declaring that James had, de facto, abdicated— and offered the throne to James II’s oldest daughter, the young prince’s much older Protestant half-sister, Mary (along with her husband, Prince William of Orange). When the exiled King James died in 1701, his Jacobite supporters proclaimed the exiled Prince James Francis Edward as King James III of England and James VIII of Scotland; but neither he nor his descendents was ever successful in their bids for the throne. Crown Prince Gustav (later known as Gustav, Prince of Vasa), son of Gustav IV Adolf of Sweden, lost his place when his father was deposed and replaced by Gustav IV Adolf’s aged uncle, the Duke Carl, who became Charles XIII of Sweden in 1809. The aged King Charles XIII did not have surviving sons, and Prince Gustav was the only living male of the whole dynasty (besides his deposed father), but the prince was never regarded as heir of Charles XIII, although there were factions in the Riksdag and elsewhere in Sweden who desired to preserve him, and, in the subsequent constitutional elections, supported his election as his great-uncle’s successor. 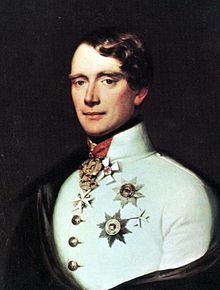 Instead, the government proceeded to have a new crown prince elected (which was the proper constitutional action, if no male heir was left in the dynasty), and the Riksdag elected first August, Prince of Augustenborg, and then, after his death, the Prince of Ponte Corvo (Marshal Jean-Baptiste Bernadotte). Prince Carl Philip of Sweden, at his birth in 1979, was heir apparent to the throne of Sweden. A year later a change in that country’s succession laws instituted absolute primogeniture, and Carl Philip was supplanted as heir apparent by his elder sister Victoria. **a British heir apparent would lose this status if he became a Catholic or married a Catholic. According to The Act of Settlement, the loss of any place in the succession would persist even if he later renounced Catholicism or if his Catholic spouse were to pre-decease him. This is the only religion-based restriction on the heir-apparent. However, as of October 2011, the governments of the 16 Commonwealth realms—of which Queen Elizabeth II is monarch—have agreed to remove the restriction on marriage to a Catholic. **a Swedish Crown Prince or Crown Princess would lose heir apparent status, according to the Act of Succession, if they marry without approval of the monarch and the Government, abandoned the “pure Evangelical faith”, or accepted another throne without the approval of the Riksdag. **a Dutch Prince or Princess of Orange would lose status as heir to the throne if he or she married without the approval of the States-General, or simply renounced the right. **a Spanish Prince of Asturias would lose status if he married against the express prohibition of the monarch or the Cortes. **a Belgian Crown Prince or Princess would lose heir apparent status if he or she married without the consent of the monarch, or became monarch of another country. **a Danish Crown Prince or Princess would lose status if he or she married without the permission of the monarch. When the monarch grants permission for a dynast to enter marriage, he/she may set conditions that must be met for the dynast to gain/maintain a place in the line of succession; this also applies for Crown Princes/Princesses. This entry was posted in British history, customs and tradiitons, Great Britain, Living in the UK, political stance, real life tales and tagged heir apparent, heir presumptive. Bookmark the permalink. 6 Responses to What is the Difference Between Heir Apparent and Heir Presumptive? A fascinating topic but so complex! It scares me to get this wrong in one of my novels, Carol, but we in the States do not deal with this concept, except on rare occasions. I don’t think readers sometimes appreciate just how much research authors do to achieve historical accuracy. I spent over four hours yesterday, Carol, with the symptoms of arsenic poisoning, as well as how much of the disease a physician might recognize in 1816. BTW, it was called “gastric fever” at the time. LOL! Thank you for making such an indepth topic so interesting and engaging! I regularly reread this information to keep all the restrictions in my head while I write my Regency novels. A refresher course was good for me, Elizabeth. Thanks for reading the post.